We loved catching up with Sarah Buckett about her life and work as a freelance artist, and founder & co-ordinator of 'Can’t Draw Club', her experience taking part in The Big Draw Festival as an individual organiser, and her love of drawing! Hi Sarah! Thanks so much for talking to us today. Could you start by telling us a little bit about you? How did you come to do what you do today? Hello, thank you for having me – it’s a real honour. I’m Sarah, I live and work in Lancashire, where I grew up. Today I work freelance making paper collage art and illustration and running workshops/events. I am also the founder & co-ordinator of Can’t Draw Club. This has not always been my job and before I took a break to be at home full-time with my children ten years ago, I was working in further and higher education, supporting Deaf and Hard-of-Hearing students. 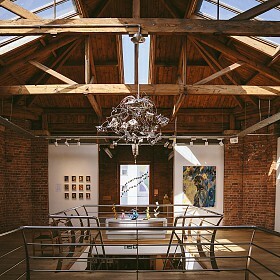 They might seem unrelated, but these two areas of work are very much connected for me. Learning and using British Sign Language unlocked a key part of my creative journey. It is a beautifully complex visual-spatial language where you need to think about how things look physically e.g. shape, movement, space, facial expression and body position. By default, I was also exposed to lots of creative subjects and in order to interpret for and support students on these courses, I had to study them myself. The combination of these two things awakened something in me that I think had been lying dormant for many years. 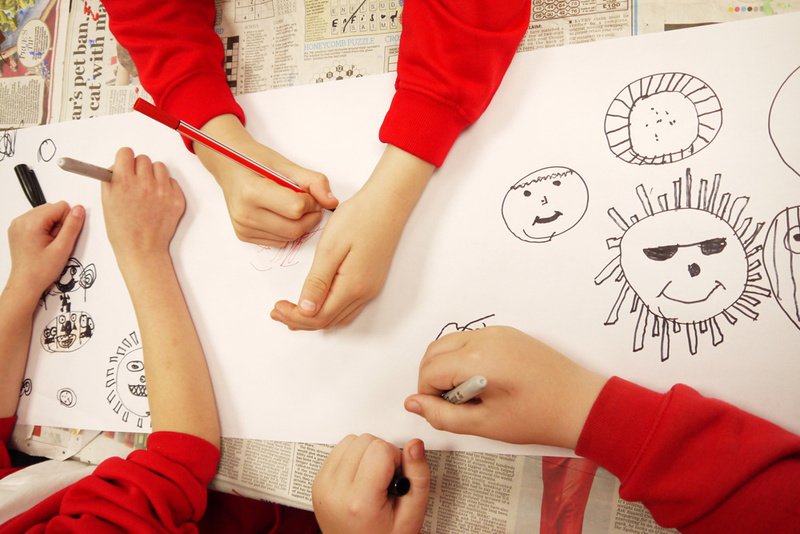 This will be your second year taking part in The Big Draw Festival! What is it about the Festival that inspires you to get involved? 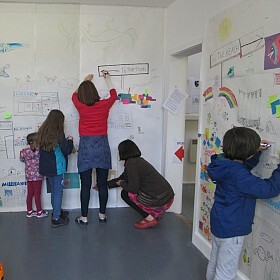 The Big Draw Festival had been something I’d admired and followed long before I had the courage to join up last year. I’m self-taught and my lack of formal training is a sore spot that my inner-critic definitely likes to prod every now and again! Last year, I challenged myself to try things that I’d previously been a little scared to do, and The Big Draw was one of those things. I love the way The Big Draw speaks passionately about the value and importance of drawing without being condescending or elitist. There is such a strong message of encouragement and inclusivity that fits perfectly with my own philosophy and approach. 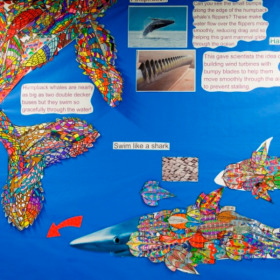 Your Big Draw activities last year involved lots of crafty collaborative workshops: from drawings and collages inspired by the Gruffalo; to games, challenges and even temporary exhibitions! 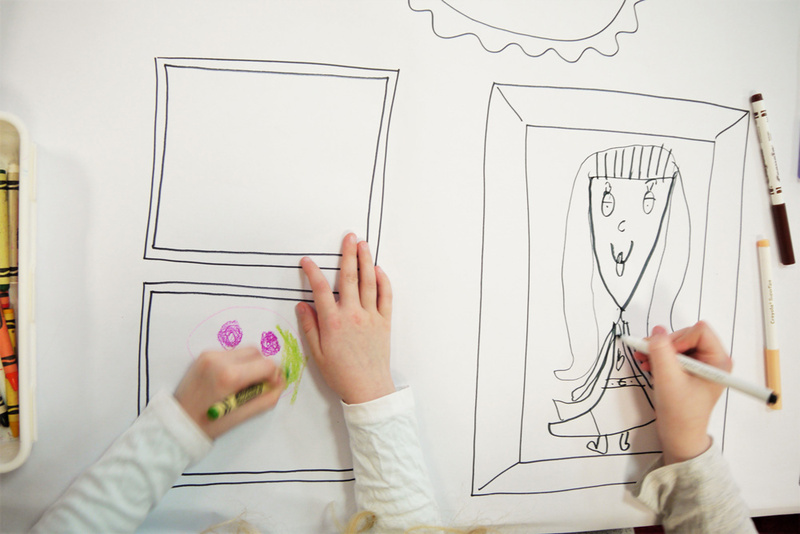 Could you tell us more about your Big Draw events last year? Were there any particular highlights that you could point to? 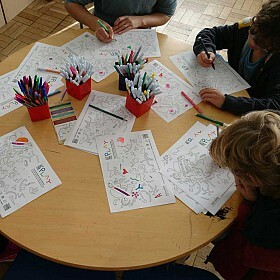 I enjoyed all the events for different reasons, but one of the highlights was a session at my local library where families came and did drawings together. 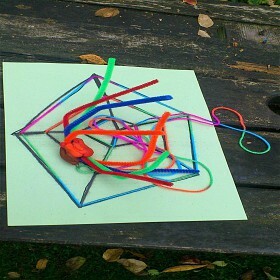 I loved watching the adults reconnect with drawing as they worked alongside their children/grandchildren and seeing them simply being silly, not getting hung up on drawing things ‘correctly’. We rarely give ourselves permission to draw like that as adults and I know for some people, it was the first time they had drawn in many years. 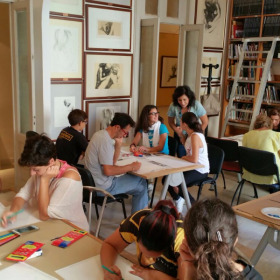 It is not easy drawing in public with strangers, but the children encouraged the adults and people really allowed themselves to be vulnerable. 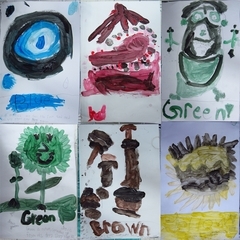 There was a real joyfulness about grown-ups and children drawing together, as equals. 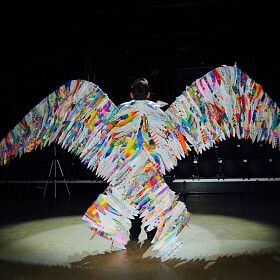 What was it like for you getting involved in the Festival as an individual artist? It has been fantastic and I’m so glad I came on board. Communication from the team has always been warm and friendly and I instantly felt a valued part of the festival. As an individual artist it can be daunting to plan, promote and run events without anyone to collaborate with but I honestly felt so encouraged by the Big Draw team and festival resources that I could just get on with working independently whilst knowing I was still part of something larger. I hosted lots of small events for different groups who were excited to take part in something locally that also had an international/global connection. On your social channels, you talk a lot about ‘fearlessness’ when it comes to being creative. This idea of embracing one’s inner child and being unafraid to make mistakes is something that we encourage wholeheartedly! The Big Draw Festival is a fantastic opportunity to embrace happy accidents, and not be afraid of imperfections in the creative process. Do you believe there is such a thing as a “bad” drawing? That’s a great question! I used to believe very strongly that there was such a thing as ‘bad’ drawing and I considered my own drawing to be very much in that category. I’m 44 now and it has only been in the last two or three years that I have come to love and accept the way I draw. This hasn’t been through learning how to draw ‘properly’ and improving my techniques through formal tuition but by exploring more about creativity and how it fits in with our unique experience as humans. I had always viewed (a very particular style of) drawing as the only gateway to becoming an artist or creative person. If your drawings weren’t detailed and accurate representations, then they weren’t any good. I also believed people that could draw this way were somehow gifted and rare and the rest of us should just be doing something else. I gave up on the visual and creative arts in my early teens - something I look back on with a lot of regret. I understand now that I was incredibly creative at that age, full of ideas that I dismissed and never pursued because of my hang-ups about drawing. Sadly, I know from my work with other people fearful about drawing that I’m certainly not alone in this experience. In my early thirties I tentatively began making images using collage and paint as a way of relaxing, but I wasn’t too comfortable sharing them publicly. Once I had my children, something shifted and the creativity I’d been squashing down for all those years just started coming out and I couldn’t stop! I tried a few different drawing classes but still felt intimidated. I didn’t know the terminology, I didn’t have all the equipment and could feel the old pressure of not getting it ‘right’. Around the same time, I read The Confident Creative by Cat Bennett which turned out to be one of those pivotal life-changing books you talk about in interviews! So much of it was about drawing, the belief that everyone is creative and most importantly that we can – and should - all draw. I felt inspired and emboldened so instead of looking for a drawing session that I might fit into, I found the courage to create one that fitted in with me. I launched Can’t Draw Club two years ago and we’re still going strong. 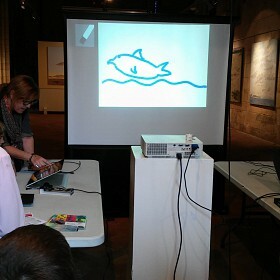 Our sessions are rooted in this belief that everyone can draw and there are no such things as good or bad drawings. Our attitude to drawing is what matters. We just draw for fun. Not to improve technique or learn to draw in an acceptable way. I believe labelling or placing value on someone’s drawing/ creative expression is only ever opinion, never fact. It takes a lot of effort to change the way you think about drawing in general before you can start to change the way you feel about your own style. So back to your question – no, I don’t believe there is such a thing as an inherently bad or good drawing. I appreciate that there are agreed standards in certain fields that drawings need to adhere to but generally speaking, it’s simply a matter of personal preference. I think about what a person has put into their drawing, how much of themselves you can see in the marks they make. Some of my favourite drawings are the ones my children did when they were younger because they were so uninhibited and full of life. Their ideas were bold and unapologetic. They weren’t questioning themselves. I love to see humanity in drawings, the quirks that make us who we are. I would certainly never claim to have the authority to say that one drawing was good/bad or better/worse than another and I don’t believe anyone else really has that authority either. What advice would you give to someone who would like to get creative, but doesn’t feel they have the confidence? I would suggest to them that they are already being creative somewhere in their life but probably can’t recognize it! Creativity doesn’t begin and end with art. It takes courage to acknowledge your creativity because there is such a narrow definition or portrayal of who ‘creative people’ are. That they are a special few, that they look or behave a certain way. It can be intimidating if you don’t feel you fit with these stereotypes. I now understand my creativity as a muscle unique to me and the more I use it the stronger and more defined it becomes. There is nothing to lose by expressing what is already there within you and confidence only comes with action. Messing up, failing, disappointment, fear, embarrassment - these are all in the mix, for anyone that has the courage to express themselves. My only regret is that I waited so long to get started so I would say just start now with whatever you’ve got, and it will all work itself out. This year’s Festival theme ‘Drawn to Life’ aims to shine a light on the pivotal role that creativity can play in our health and wellbeing. 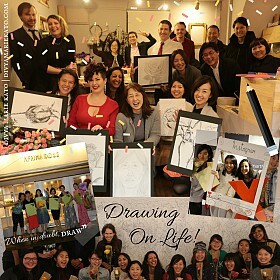 How do you think you might incorporate ‘Drawn to Life’ into your Big Draw events this year? Furthermore, does this theme play an important role in your life and work outside of the Festival? I’m very excited by this theme and philosophy because it follows on so beautifully from last years focus on play. We know how crucial and valuable play is to learning and wellbeing. Getting people to view drawing as a fun, relaxing pastime and not a technical skill to be improved was so gratifying last year. Being able to extend this and show how it is also a tool for improving and maintaining our emotional health is going to be wonderful. I know first-hand how it has helped me understand and support my own emotions. I’m really interested in how this works at opposite ends of the age spectrum so hope to host some events for very young and much older people. One of my memorable events from last year was with a local support group for people with Multiple Sclerosis. They were so open to drawing for fun the way they had done as children and really embraced the spirit of drawing for drawing’s sake. 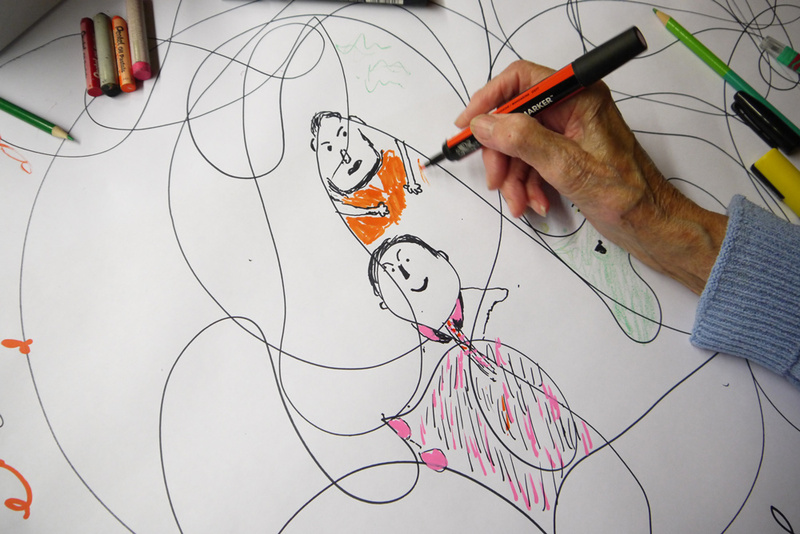 It was very interesting to think about how drawing fits in with the physical limitations and changing symptoms of people living with chronic conditions like MS. I’m looking forward to working with the same group again later this year as part of the 2019 festival. 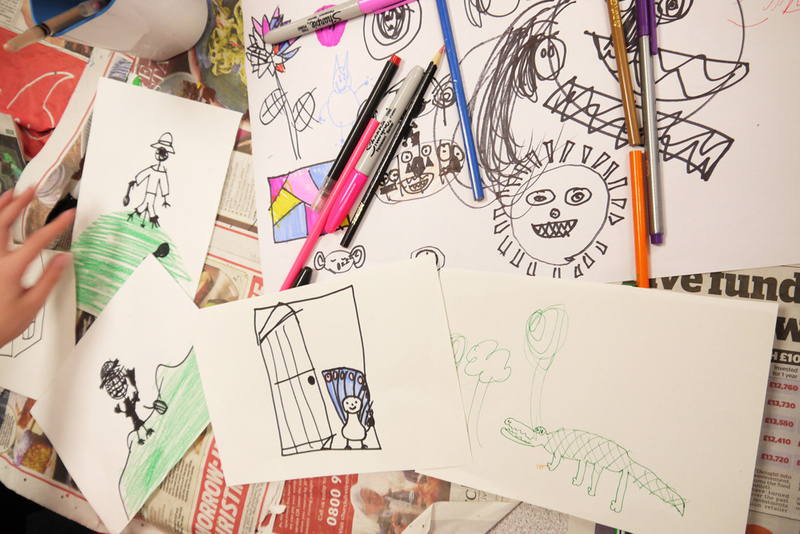 Have you got some exciting ideas up your sleeve for this year’s Big Draw Festival? I have but I’m going to keep them under wraps a bit longer! I’m going to host more events this year and spread them out a little rather than cram them all into October. I love presenting drawing as an inclusive activity, taking it away from an elevated, hard-to-access position back into an everyday thing that doesn’t need expensive materials or qualifications. It is here right now for all of us, we just need to make it our own. I can completely empathise with people who feel it isn’t relevant to them and it’s here that my lack of formal training is a bit of an advantage. I still feel like an outsider myself and so I’m looking forward to convincing more scared sceptics to let drawing into their lives! Could you dispense any advice or top tips for individual artists who might be considering running their own Big Draw events? There is no single way to get involved so just register and have a go. I worried that my events were too small and simple but sometimes the smallest events can have the biggest impact. I learned that people love getting permission to just draw. So many adults talked about how they enjoyed drawing but felt it was a decadent use of time when there were so many other things that needed to be done. Carving out an hour or two for people to draw without feeling guilty is a precious thing that can change lives. Thanks so much for chatting with us Sarah! Have you been inspired by Sarah's interview and The Big Draw Festival 2019 theme: #DrawntoLife? Why not join our global Festival in 2019? Registration is now open! 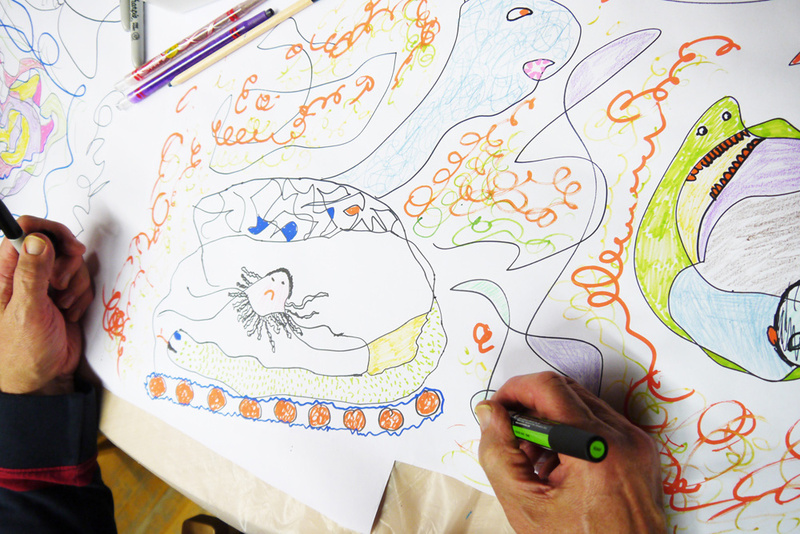 Find out more about the benefits of becoming an organiser here and other ways to support The Big Draw's mission here. 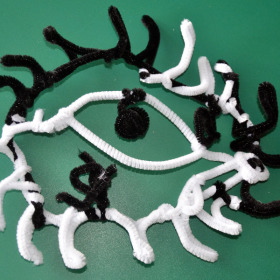 You can find out more about Sarah, and how to get involved in her wonderful creative workshops here. 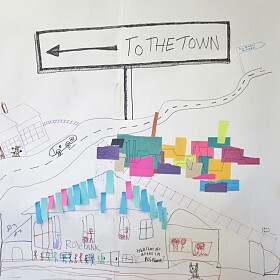 Folkestone's Massive Collaborative Doodle Animation!